Ali is driving away with daddy DiLaurentis. Where are they going and for how long? 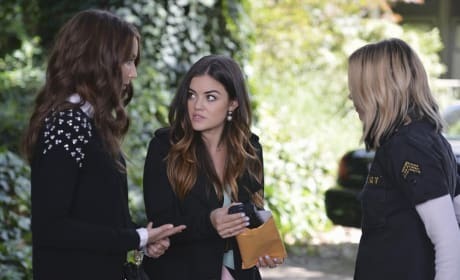 Ali catches up with Emily, but it doesn't look like things go to well. Is she saying goodbye? 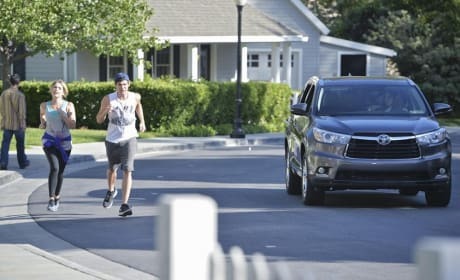 Haleb are interrupted in their run by Spencer, who is busy manning the street. 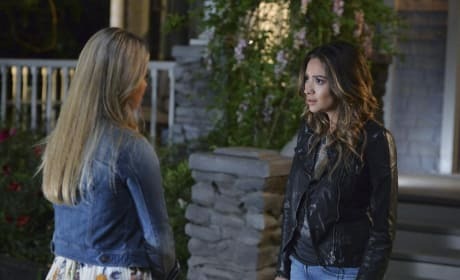 Have Hanna and Caleb decided to pick up some good habits for a change? 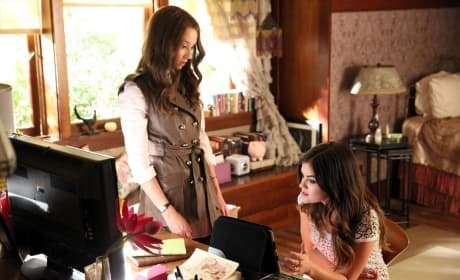 Aria has a pouch. What's in it? Find out in "A Dark Ali." 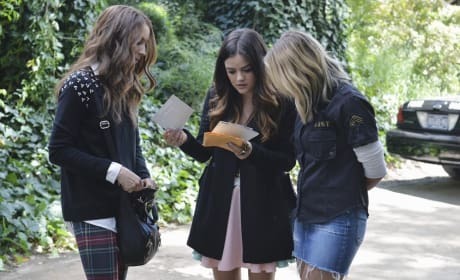 Spencer, Aria and Hanna in a photo from "A Dark Ali." 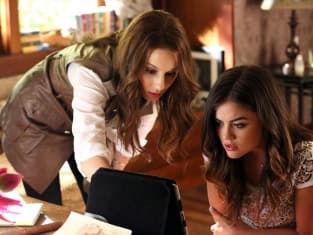 Back to the iPad and Spencer and Aria dig deeper into whatever mystery is at their feet now!